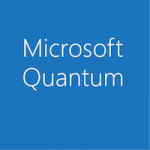 Since our initial release of the Microsoft Quantum Development Kit in December 2017, the community of quantum developers building solutions in Q# has grown at an exciting pace. Today, downloads of the Quantum Development Kit has reached to over 100,000 as more developers start learning how to build applications for a quantum computer. The feedback, open-source contributions, and questions that we hear from the community encourage us to continually improve the Quantum Development Kit to make it approachable to an even wider set of quantum enthusiasts. We’re excited to share that the March 2019 update makes jump-starting quantum projects in Q# easier than ever. Recently we added support for cross-platform Python host applications. That makes it easy to simulate Q# operations and functions from within Python. Learn more about Q# and Python interoperability here. Today, we’re bringing Q# programming directly to the world of Juypter Notebooks. 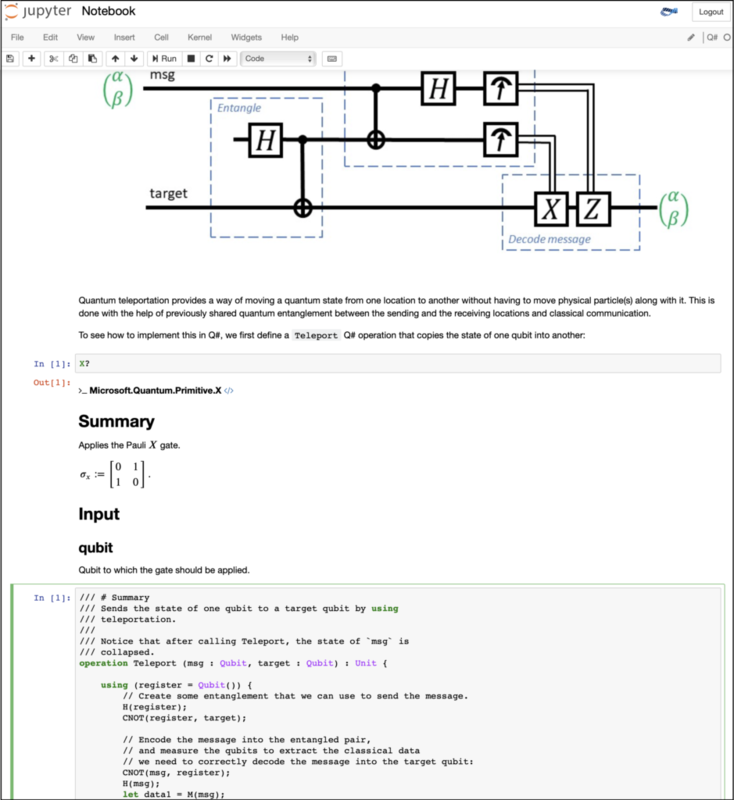 A favorite of academic settings, scientific labs, and online-based collaborative programming, Jupyter Notebooks offer in-place code execution—now including Q# code—along with instructions, notes, and other content. In addition to this update, we’ve created a set of Jupyter Notebook samples, which you can use for writing your own Notebooks. A tutorial on how to use IQ#, the new the Q# Jupyter kernel that makes it easy to write quantum application notebooks. A Jupyter Notebook sample for Teleport. Integer adder arithmetic, available in the Quantum Canon Library. A Jupyter Notebook that describes how to use the new integer adders. Added ability to return from within a using statement. Other improvements based upon community feedback. Learn about these and other new features in the Quantum Development Kit March update release notes. We’re looking forward to seeing you try out these new features, and to seeing Q# code in Jupyter Notebooks everywhere you’re exploring quantum solutions.